Chili's are you Wild or Mild? 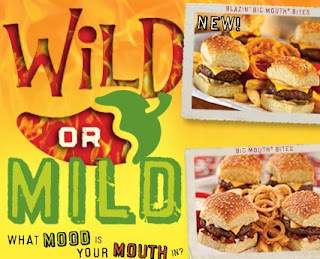 Have you heard about Chili's new Wild or Mild menu ? They added new items to the menu with ramped up spices for those who like to eat on the wild side. They also included cooled down items from their original recipes for when you feel like being mild. Don't worry, the original recipes are still on the menu too. 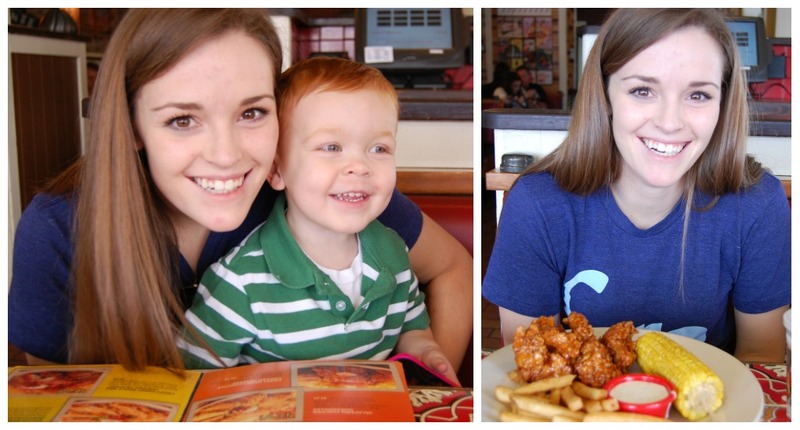 I recently had the opportunity to sample some of the Wild or Mild menu with Brody and Kelli. 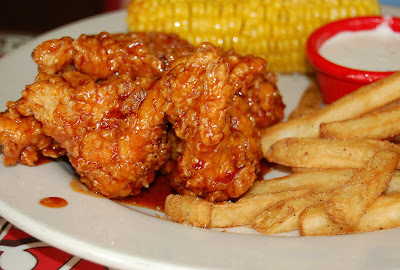 The new menu includes Kicked-Up Queso, Blazin' Big Mouth Bites, Jalapeno Chicken Quesadillas, Sweet Maple BBQ Chicken Crispers and much more. We loved the Crispy Honey-Chipotle Chicken Crispers! Next time I am going to try the Bacon Ranch Chick Quesadillas. You too can try out the Wild or Mild recipes by visiting your favorite Chili's. Make sure to visit the Shout Out To Eat Out- Wild or Mild website. If you upload a picture of your self and create a wild or mild avatar you will be entered to win a $20 Chili's gift card (there will be a daily winner). The most voted wild avatar will win a wild trip to Las Vegas and the most voted mild avatar will win a mild trip to Disney World. Hurry up and enter, this promotion ends 4/30/2011. Chili's provided me with a gift card for the review. All opinions are my own. I was just in there and hadn't heard about this! The little man just keeps getting cuter btw!